When looking for the best way to moisturize the skin, many consumers can benefit from using a non comedogenic moisturizer. There are lots of moisturizers out there, but many can clog pores, leading to acne breakouts and other skin conditions. Using a non comedogenic moisturizer can be especially beneficial to those with acne, as it will indirectly reduce breakouts by blocking pores and preventing sebaceous glands from expelling oil. Even if acne doesn’t become very visible, clogged pores can harbor bacteria and increase inflammation, which in turn leads to faster skin aging and development of wrinkles. But which non comedogenic moisturizer ingredients are best? A product is classified non comedogenic when it does not clog pores that could develop into comedones. Non comedogenic products are recommended if you have oily or acne prone skin types. Non comedogenic creams reduce the chances of developing blackheads. It is important to note that every skin care or make up product has a comedogenic effect. However, you can reduce this by avoiding ingredients like oils, silicone and preservatives. Here’s the thing, when it comes to skin moisture, your skin does not provide an immediate response to anything that you may be doing wrong in your skin care regimen. Skin moisture is a tricky thing. Once your skin is moisturized, it can stay looking healthy for several days, even if you forget to apply a face moisturizer a few times. Therefore, many people look in the mirror every morning, see that their skin looks fine and put off using a moisturizing cream until another day. Then, when dry skin on face and arms seems to appear almost out of nowhere, and they remember that, yes, indeed everyone does need to moisturize, and proceed to slather a heavy layer of face cream to repair dry skin. The skin contains tiny little holes called pores all over its surface. The pores are a wonderful mechanism for removing toxins and dirt from your body by excreting a sticky substance called sebum, which works its way up to the skin surface, carrying away dirt and dead skin cells in the process. Not only does sebum cleanse the skin from old, dead skin cells, but it also covers the skin with oil that acts as a barrier between your skin and the environment. This oil is a natural way to moisturize your face, and people with oily skin on face may even feel like they’re wasting their time looking for the best facial moisturizer. But in today’s day and age, the natural oil in your skin is no longer as helpful as it used to be, because we wash our faces on a daily basis, stripping away most of the oil in, thus leaving it exposed to negative environmental factors. Of course, you could always just stop washing your face and let all the oil stay on your skin, but then you’d be prone to acne breakouts and other skin problems. On top of that, it’s important to understand that the moisture that comes from the naturally occurring oil in your skin is filled with all kinds of contaminants like dead skin cells and environmental pollutants that should be removed from your body as quickly as possible, with no chance for re-entering your system. Therefore, it is important to develop a sound skin care regimen with a good face moisturizer, because that is the only way to achieve younger looking skin. When trying to select the best facial moisturizer for your skin type, you have to first understand how different face creams actually treat the skin. Humectants: These moisturizers carry ingredients that draw water from the inner layer of the skin (the dermis) to the out layers, which are usually drier. When included in face moisturizers, humectants also draw moisture into the skin from the environment. For example, glycerin, a common ingredient in face moisturizers and specialty soaps, is an example of a humectant. Emollients: These types of ingredients, like petroleum jelly or silicones, seal existing moisture into the skin to prevent loss of moisture. The unique properties of humectants make the skin feel soft and smooth and are a common ingredient in a good face moisturizer. Emollients can be water-based or oil-based and can be used in oil free moisturizers as well as non comedogenic moisturizer products. Both of these ingredients play a key role in helping you achieve healthy skin, and the best facial moisturizer creams will contain various quantities of both of these ingredients. By helping bring moisture into your skin and creating a protective barrier, your skin will feel softer and smoother to the touch. However, emollients have a comedogenic effect. Oily Skin: This skin type often suffers from enlarged pores and often has blemishes and skin discolorations. The complexion of someone with oily skin becomes oily soon after washing the face, and the oil layer usually appears thick and shiny. If you have oily skin, it is important to use a good face moisturizer because when you wash your face and strip away the excess oil, the lack of moisture will actually cause the skin to produce even more oil, thus creating a vicious cycle with no end. If you have oily skin, you may also want to choose a non comedogenic moisturizer, because these are a lot less likely to clog pores and stimulate excess oil production. Normal Skin: In this skin type, pores are usually small and virtually invisible. Normal skin will often have a dewy complexion with few blemishes or skin discolorations. This skin type is not normally sensitive to fragrances or other additives in skin care products. Using a daily face moisturizer is important for this skin type because it helps balance skin and prevents potential problems. Therefore, if you have normal skin, the best face moisturizer is one that will help you maintain your current skin health without clogging your pores. You should use an oil free moisturizer that is water-based and has a light, non-greasy feel. 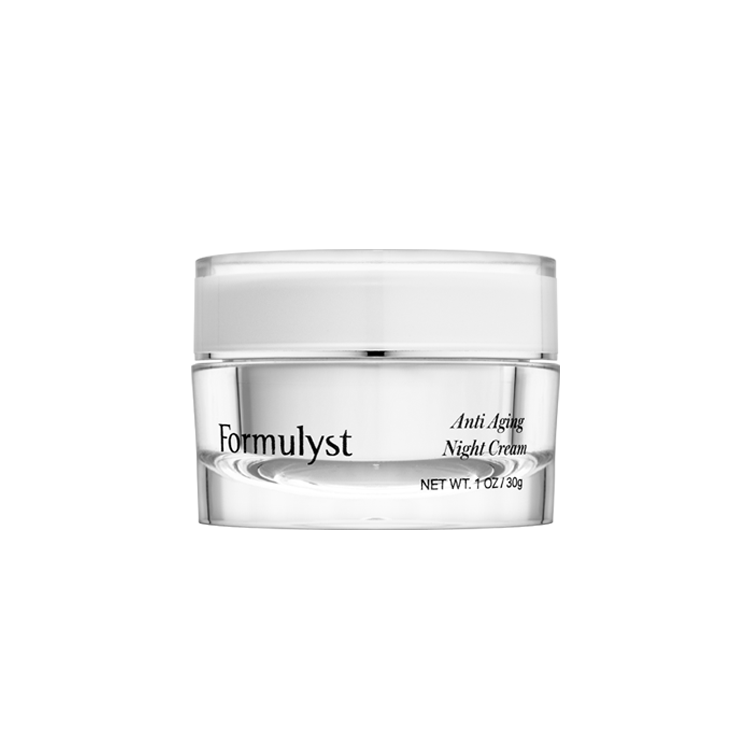 Ingredients like acetyl alcohol or cyclomethicone give light moisture to normal skin without any comedogenic effects. Combination Skin: Oily skin on face, in specific areas, like the skin on nose, forehead or chin, combined with dry patches in other areas is referred to as Combination Skin. The layout of the oily patches on face with this skin type is commonly referred to as the T-zone. With this skin type, the blemishes will usually show up in the middle of the face while other areas of the face have either normal or dry skin. It can be tricky to find the best face moisturizer for combination skin because you have to treat different areas in your skin in different ways. Oily areas on the face should be treated with a moisturizer that contains ingredients to get rid of acne, while the dry or normal skin areas should be treated with a face moisturizer that is rich in emollients. Dry Skin: People with this skin type usually have a dull complexion with pores that are nearly invisible. Dry skin tends to be less supple and elastic than other skin types and you’ll often find red, dry patches of skin discoloration. If dry skin is not moisturized, lines and under eye wrinkles become more pronounced because the skin lacks moisture to plum up. For dry skin, the best face moisturizer will contain humectants to draw in moisture from the environment. Here’s another thing about dry skin. 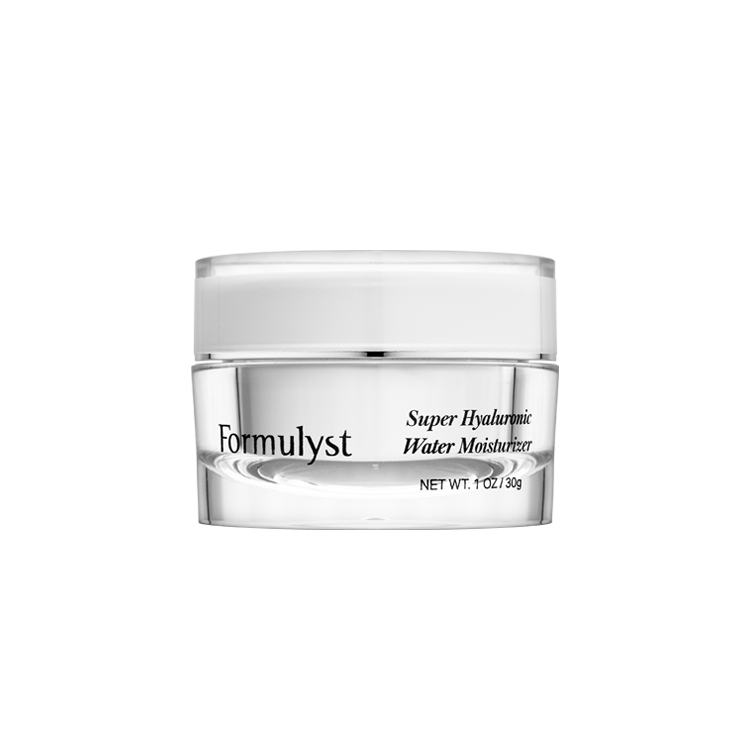 When you’re suffering from this problem, your biggest concern is not seal moisture in with an emollient face cream, but to first add as much moisture to your dehydrated cells as possible. Then, it’s about locking in the moisture so that it stays in your skin cells longer. People with dry skin often need to use a good face moisturizer at least twice a day to keep skin supple. If you have dry skin on face or arms, choose an oil-based face moisturizer that is thick and heavy. This will create a thick layer of moisture and other anti aging skin care ingredients to nourish the skin on your face continuously throughout the day. If you are looking for an effective product for dry skin, it will have a comedogenic effect due to the emollients. Sensitive Skin: This skin type is usually associated with dry skin, but the difference is that this type doesn’t just have dry skin, but one that tends to break out when any product with fragrance is used. Sensitive skin is usually dull, scratchy, and rough. The best facial moisturizer for this skin type is one that avoids fragrances or other non-essential ingredients. For sensitive skin, it is key to moisturize without exposing the skin to unnecessary ingredients. For example you can use a non comedogenic moisturizer that is fragrance-free and created specifically for sensitive skin. Face moisturizers that contain acids can be particularly irritating to sensitive skin, and it’s a good idea to stay away from moisturizers that may act as subtle face exfoliators as well. Instead, go for a face moisturizer with ingredients like chamomile and aloe to soothe skin and give it the nutrients that it needs to rebuild itself. To understand why using non comedogenic moisturizer is so important, it’s vital to view pores as pathways that allow skin oil to escape onto the surface of the skin. The oil is produced by sebaceous glands, which are located under the skin and constantly produce sebum. Although sebum may be frustrating from a cosmetic perspective, it’s absolutely vital to skin health – it keeps the skin lubricated and helps trap pathogens. However, the problem starts when the pores become clogged. This can occur because of hormonal changes, which cause sebaceous glands to produce too much oil; physical blockage of pores due to inadvertent skin scratching that can cause dead cells to cover the pore; and failure to use non comedogenic moisturizers, thereby leading to a buildup of dead cells and dirt. Although the use of a non comedogenic moisturizer is just part of the solution to keeping pores healthy, this practice can prevent many acne breakouts and make pores less visible by making it easier to wash dirt out of them. I have eczema on y face. Cheeks prominently and little patches forehead n other places. I get eczema once in a while ,all over my body. For face I have found cool natural wind to be ery calming, i clean my face and put moisturizer on and sit near the window and overnight my skin would improve a bit. Avoid any kid of heat. In kitchen, in winter air (fan) heater is worse. Secondly, I use aveeno but I feel like they are too thick that could clog pores, so I have La roche posay too. Lifestyle is also very important, getting good sleep at night is very important, be stress free, keep nails short n clean, dont touch your face, tying hair properly tht they dont fall in your face, avoid dust n pollutants of course, be gentl3 with skin. Itching makes it worse. Take cool or lukewarm shower. Moisturize 4/’5 times a day. Food: i am allergic to some food. Dairy egg gluten esp and shellfish etc. its important to have good digestion n bowel system too. So dont takke too much carb n protein at once. Balance always and drink lots of water. Choosing the right face product has been tiring and im still on the running. I would like to know what others with eczema esp in teir faces have used and what have worked for them. Real MDs recommend Aquaphor (let it soak into skin and pat it in while face is damp – that is the trick and most do not do that and then whine about it being greasy; fact is they did not apply it properly). This is best available at a reasonable price and is great for sensitive, super dry problematic skin, et al. Also, Neutrogena makes a moisturizer that has NO fragrance and NO alcohols. That is a great one too but Aquaphor really does the job. Pros in Hollywood (in spite the hype you read) almost all use Aquaphor.